According to this book, one legend about Jason Voorhees states that his great-great-great-great-grandfather Jebediah Voorhees was a warlock who possessed a copy of the Necronomicon Ex Mortis (from the Evil Dead films.) After his seeming death in 1667, the book was eventually passed down to Jason’s father Elias, who accidentally summoned a demon with it that allegedly possessed Jason. This novel is a tie-in to the movie Jason X, which has Jason being brought out of cryogenic suspension in 2455, when the Earth has been overcome by pollution and humans have relocated to a new planet called Earth Two. 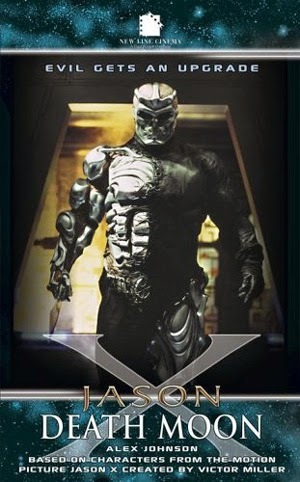 This does not fit with the future of the CU’s Earth seen in other stories set in the 25th Century or later, and therefore Jason X must take place in an alternate timeline. However, the historical details about Jebediah Voorhees could be true in CU continuity as well. If I remember correctly, Win noted in Crossovers that the Necronomicon Ex Mortis was seen in Jason's house in one of the movies (or maybe it was a comic.) That would indicate some truth to the story. It would also explain how Jason keeps coming back from the dead. Yep, Jason Goes to Hell. Then I don't see any problem with the past being in the CU. Are you going to put this in the regular contents or the AU section?